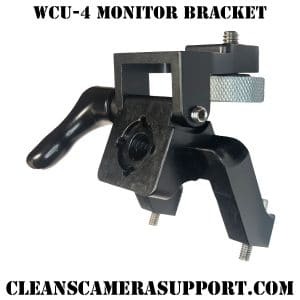 the Arri UMC U bracket provides another mounting option for the UMC besides the Arri L bracket. this bracket is long enough to mount on an alexa top handle & still clear the body of the camera (see photo below). the Arri UMC U bracket comes with removable arri pin discs. 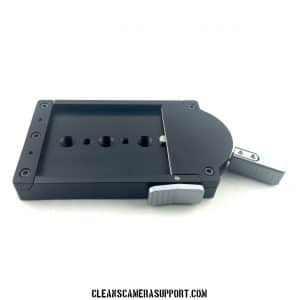 this allows you to mount the U bracket on sony or red cameras as well.